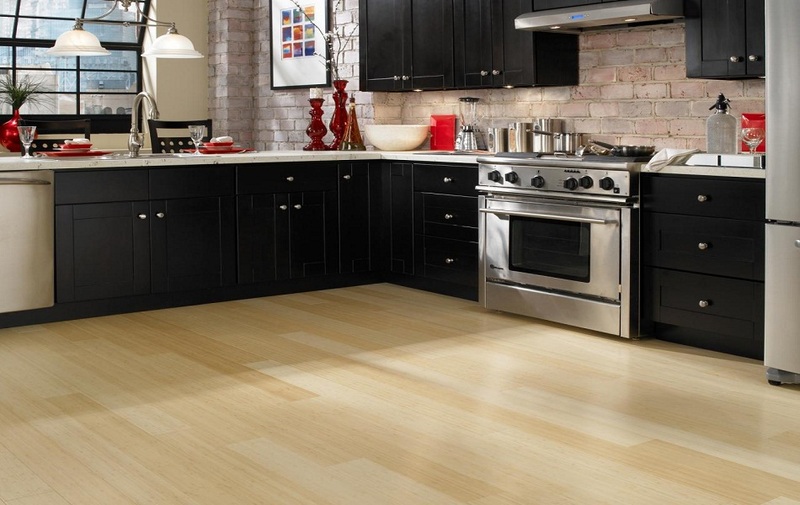 Your selection of Kitchen Flooring should be inspired from your overall theme (environment). This choice needs to consider your lifestyle and budget. Before you make any final purchase, make sure you have done your research. If needed, don’t be hesitant to ask professionals about their advice. If you need a cost effective yet durable option for Kitchen Tiles, you should consider vinyl tiles. These are high in demand thanks to their durability and affordable price. The vinyl tiles are available in a wide array of shades, patterns, styles, and textures. Laminated is another popular option when it comes to flooring and kitchen tiles. These are created by laminated a picture of a stone, wooden surface or any flooring material. Just like Vinyl, these are affordable and can see you through years to come. These are old, but ever reliable. If you need a kitchen flooring option that is affordable, easy to maintain, and durable, then this is your best bet. Sure these are not expensive as stone or marble but are a reliable option as proven by their years of use. These are versatile and available in a wide variety of designs, colors, and patterns. This option needs no introduction! These are among the oldest options including wooden flooring. The stone kitchen tiles help to create unique and exquisite flooring as these are cut out of boulders. These are available in inconsistent sizes and shapes, however these are expensive and needs a bit of maintenance.